In case it slipped your mind, April Fool’s Day is Wednesday, April 1st. 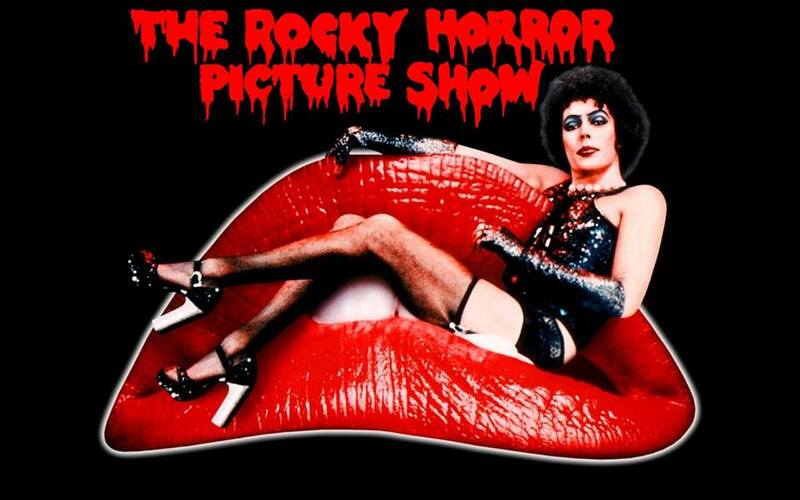 For this ‘fun’ day on the calendar, the Rio Theatre, 1660 East Broadway, will be showing the ultimate cult classic film The Rocky Horror Picture Show not once but twice. If you haven’t seen the film, it has a newly engaged couple, Brad and Janet, who encounter a few monsters, a sweet transvestite in a castle and there is, of course, lots to sing and dance about, in particular the “Time Warp”. This is a great opportunity to dress up and have some fun with your favourite character. Those with costumes get to see the show for $8.00 and those without costumes $10. The movie will show first at 7:00 pm which will be open to all ages. Then a second showing takes place at 9:45 pm for 19+ crowd which will include an exclusive April Fool’s cut of the movie featuring some Geekenders performers. Advance tickets are available online at Rio Theatre. Our favourite garden shop, Figaro’s Garden, 1896 Victoria Drive is hosting a hands on workshop on Small Space Vegetable Gardens. The workshop will be led by Andrea Bellamy, author of the award winning blog Heavy Petal. 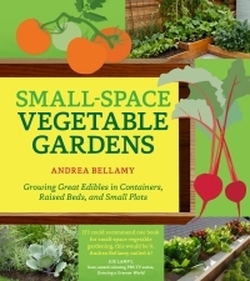 Andrea will be sharing her tips on small space gardening. Whether you wish to create an edible garden in a small yard, an apartment balcony or a small plot in a community garden, she will provide lots of great advice to help your garden grow. The workshop will be held on Saturday, April 11th from 11:00 am – 12:30 pm. Although there is no cost for the workshop, there is a $7 fee to cover the cost of supplies, being a post, soil and seeds. To register, contact Figaro’s Garden at T: 604.253.1696 or by email at info(at)figarosgarden.ca. Tonight you can join people from around the world by participating in Earth Hour. To participate, you only need to turn off the lights for one hour between 8:30 to 9:30 pm local time. This event started in Australia in 2007 to bring awareness to environmental issues and climate change and now involves 162 countries. This is one of those events where individually it may not seem like you are making a big difference, but collectively it does. BC Hydro states that for Earth Hour last year the provincial electrical load was reduced by 1%. That meant 1.4 million lights were turned off in this province alone. It’s a great excuse to bring out the candles, turn out the lights and get cozy. You are invited to the Cottage Bistro, 4470 Main Street, on Wednesday, April 8th to listen to What It Is! 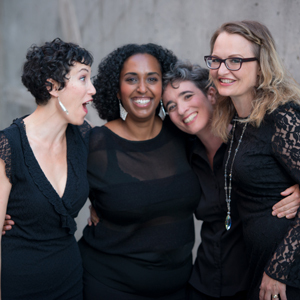 This is a group of four amazing East Van ladies, being Mebrat “Mimi” Beyene, Cass King, Patti Powell and Carol Wiedemann. Together they are a powerhouse of a cappella soul. Their sound is steeped in the soulful sounds of such greats as Aretha Franklin, Ray Charles and Etta James. They are without a doubt engaging performers and will be sure to have you singing and clapping along with them. These ladies bring heart to their East Van Soul. If you get the chance, be sure to stop by the Cottage Bistro on April 8th. The ladies take the stage at 8:30 pm. The event is pay what you can. The Baker’s Market is back this Spring! If you haven’t attended the Baker’s Market, it is a great community based event that brings together local baking enthusiasts, pastry students, mommy bakers as well as budding entrepreneurs. 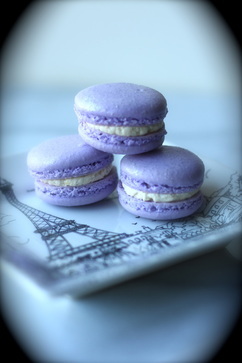 Some of the delicious things you will find include exquisite French macarons by J’adore les Macarons, delicious lemons squares from The Lemon Square and honestly, these are a little piece of heaven if you haven’t already tried them. Other vendors lined up include Mama’s Bake Shop with gluten free cake and cookie mixes, Chicka Bites Baked Goods, Le Mardi Cake Studio with some works of art that you can eat and Yellow Basket Baking to name just a few. Each week you will find a different group of bakers, so the offerings will vary each week, but some of the goodies you can expect to find include organic muffins, brownies, handmade chocolates, Belgian waffles, scones, preserves, breads, tarts and much more. If you have something specific in mind that you would like, we do recommend you arrive early. The Baker’s Market will be held at Moberly Arts & Cultural Centre, 7646 Prince Albert Street (60th & Fraser). 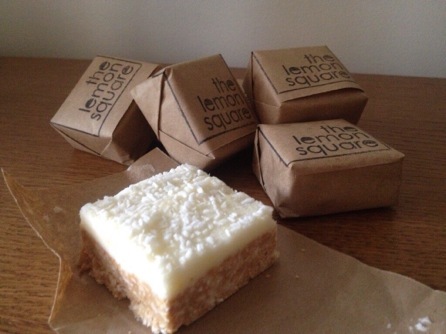 Admission to the market is free, there is ample parking and our favourite part, lots of samples! So come out and support your local talented creative bakers. The market kicks off Sunday, April 12th, but if you miss the first weekend, there will be 8 more markets on April 19th, April 26th, May 3rd, May 10th, May 17th, May 24th and June 7th and June 14th. The market runs each Sunday from 11:00 am to 3:00 pm. This is one sweet market you should not miss. You are invited to the First Annual Beer League BASH being presented by Bomber Brewing. The event is a fundraiser with all proceeds going to BASH, Britannia After School Hockey. The event will take place at the Britannia Community Rink, 1661 Napier Street. On hand during this event, will be 11 local craft breweries pouring tasters on the rink concourse. At the same time, 4 craft brewery teams, Bomber, Red Truck, Parallel 49 and the ‘Craft Beer All-Stars’ will be having a show down on the ice in a round-robin tournament. Some of the breweries on site pouring tasters for this fabulous event include Bomber, Red Truck, Parallel 49, Main Street, Strange Fellows, Off the Rail, Bridge, Central City, Storm, Yaletown and Moody Ales. Tickets for this event are $25 and are available online at Eventbrite. Each ticket will include 3 taster tokens. Although you can and we encourage you to earn extra tokens by donating gently used hockey equipment to the BASH program. Some items they welcome receiving for the BASH program include elbow pads, helmets, hockey sticks particularly composite sticks and socks. The First Annual Beer League BASH gets under way at 4:00 pm and goes till 10:00 pm. Note, this is a 19+ event. Come out and support this great community event!